The demand and supply for online video is not expected to slow down this year...but with an increase in quantity always comes a drop in quality. We all know that video is the hot piece of content to invest in right now. The U.S. digital video marketing industry is expected to reach $135 billion this year, according to a new study by the mobile video platform Magisto. With more brands seeing a better ROI in online video compared to traditional online advertising content, there has been an influx in the demand by companies for video content that not only captures their brand, but also converts one time viewers into customers. 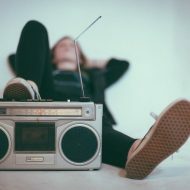 Adding music to your marketing videos is a guaranteed way to tap into your audience, but how do you prevent your video from getting lost in the shuffle? How effective is a 15 second commercial with regards to ROI? What kinds of videos are these brands creating and what sort of videos should I be concentrating on? 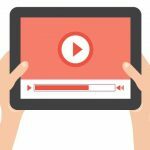 Here are the most valuable types of videos you are probably not creating, but should be including in your content marketing plan this year. How To videos, or tutorial videos, are exactly just that. They are made to instruct and educate your viewers on how to do something relative to your product or service. The best part about creating these videos are that you can branch out from your service into your industry in order to capture new viewers, leads, and communities. If your business provides cable TV technology , it will be in your best interest to create videos that are tied to all areas of consumer television hardware such as DVD set up, sound, and basic troubleshooting. Make your funnel as big as possible to catch as many potential customers as possible. Product review videos are your company’s chance to put your money where your mouth is. Nothing promotes a product or service better than showing it in action to highlight its benefits. There are reasons that technology companies like Apple, go above and beyond to prevent leaks of their latest and greatest. They lose control of the messaging and risk the exposure of unpolished products. On the flip side of that, crafting reviews that allow you to control the messaging and address questions before they can be asked is a powerful way of shaping the value and promoting your business. It also shows a level of pride and self investment, which goes along way in the minds of the customers. Don't worry, you don't need to partner up with a PR agency or publication in order to get a review of your business. Providing review videos of your product on Amazon has the potential to increase your conversion by 80%. Utilizing 3rd party video creators like Seattle based AMZ Product Videos can help you not only create the video, but also make sure it is valuably placed. Company culture has now become a leading factor in employee consideration and development for businesses today. From decreasing turnover to providing strategic direction, corporate culture is now an investment being made by companies of all sizes. Any new or growing business should be investing in content that showcases your company culture. How does it help? Provides an Identity: Producing content that clearly illustrates the values and purpose of the organization. This helps customers better understand what you stand for as well as provide direction and guidance for employees. Helps with Retention: Like we said, company culture is a leading factor in attracting top talent. It also helps with turnover amongst current employees. When employees feel a sense of belonging and understanding of what they are working for, there is less turnover and higher morale. Branding: It is part of the brand! Your corporate culture adds to your brand identity and should be shared with your customers and the rest of the world. No longer are the days of the faceless conglomerates, as companies celebrate their culture by giving everyone a peek behind the curtain. By exposing your culture, you establish trust with the public in the services and products you provide, as well as guide your employees in how they should behave and communicate. Testimonial Videos! They're quick and easy, and cary a lot more weight than scripted content. About 62% of consumers search online for reviews and information before purchasing a product and a whopping 90% believe brand recommendations from friends. Most customers, especially the ones who have been with you awhile, are thrilled to take part in testimonial videos. It provides recognition of the relationship between both parties and, for B2B, it opens the doors for collaboration in the future. Videos can be 10 seconds long, or 10 minutes. It's up to you and how you use them. Post them on your website, send them off in emails, and share them across all social networks. Let them do the work for you. This demand for these types of videos have also given rise to a new crop of freelancers, creative agencies, media licensors, and applications as marketing heads require more creative and cost effective ways to deliver. This shift is not limited to Fortune 500 brands with bottomless pockets. Platforms like Magisto and communities like fStoppers are both working to provide business of all sizes and designers from all walks of life the ability to take part in this movement. So get started now and make some videos that actually will deliver results for you. Source your creatives, start storyboarding, and of course...get the right music to help teach, review, and share your products with the world! 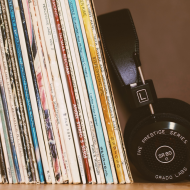 By Jess Keller	| Comments Off on What Is Royalty Free Music? Copyright © 2018 Owned and operated by Trad Ventures, LLC. All rights reserved.